As Jon Snow let loose that arrow to end the suffering of a burning Mance Rayder at the end of the first episode of season 5 of Game Of Thrones, perhaps that wasn’t the first time he had ended the life of a wildling in such a manner. At least that’s the (completely tongue-in-cheek) theory posited in the video below from Ozzy Man Reviews. By using footage from throughout the HBO series as well as some visuals and audio from Martin Scorsese’s Shutter Island, Ozzy Man posits that Olly, the young villager who has become Snow’s sidekick, is not what he seems. 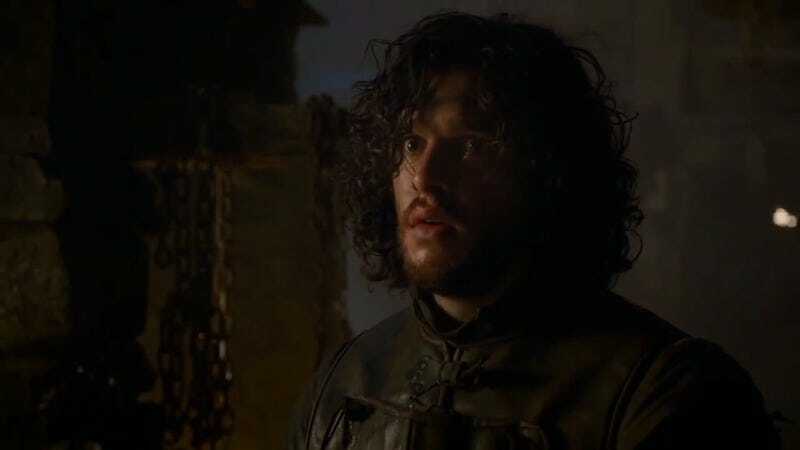 The editing is expertly done as Jon Snow comes to his world-shattering realization, with some great intermingling of dialogue and insert shots to make this seem like it could be an actual theory if it wasn’t completely bunk and robbed Ygritte’s death of the usual senseless brutality that governs George R.R. Martin’s world. It’s both funny and almost believable, all while being handled with the great craftsmanship that evokes the climax of Scorsese’s film.